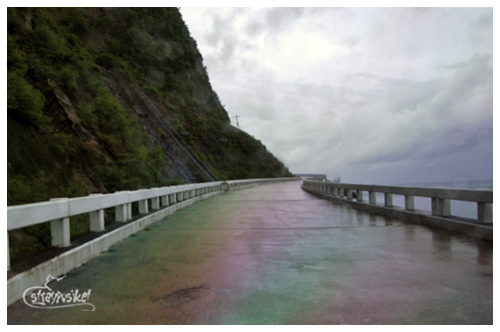 Our itinerary for the day included the following places - Patapat bridge, Kaibigan Falls, and Vigan. 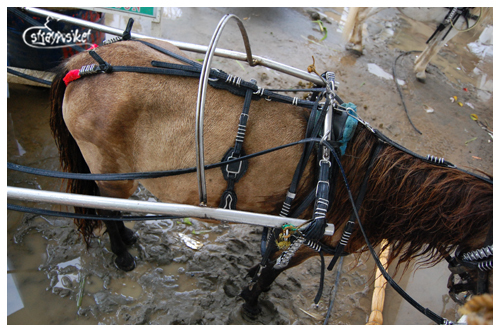 We did not get off the van when we reached the Patapat bridge because it’s still raining. 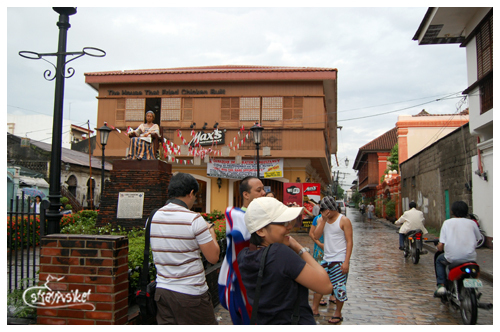 We also cancelled our Kaibigan Falls trek and proceed with the Vigan tour because the trail might be slippery. 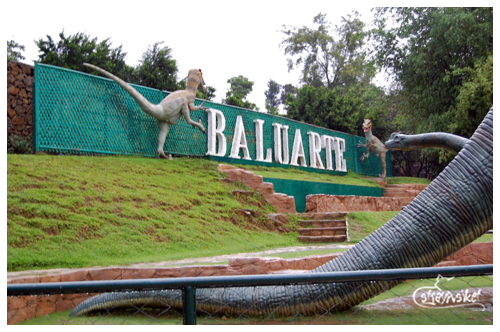 I barely slept during the 2 hour drive to Vigan. It was still raining when we arrived there. We stopped by Grandpa’s Inn to have our lunch at one of their restaurants. 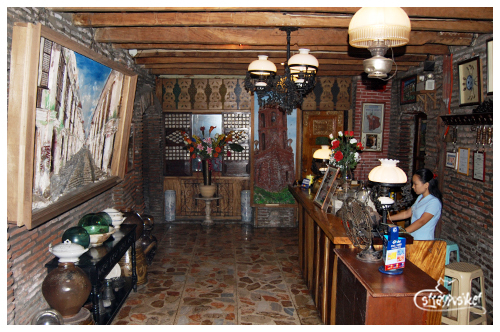 The food at the restaurant is good except for the Binagoongan which is too salty for my taste. At around 5 o'clock, we left the place and went to our final stop before heading back north.Luckily the rain had stopped. I was only a HS freshman when I’ve first set foot on this historical place. New establishments such as Mcdonald’s and Max’s Restaurant can now be found in the area. 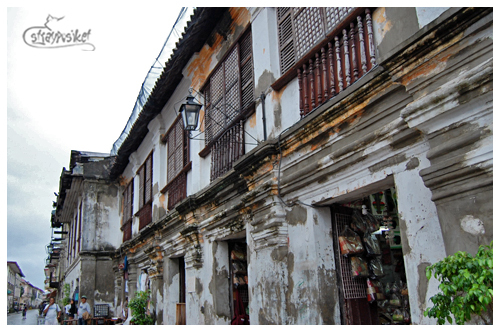 This famous street, same as before, is still lined with souvenir shops selling woven blankets, Ilocos shirts, chichacorn, etc. It was time to go back to the van so we did a quick pasalubong shopping for our families and friends. After 2 hours, we're back to north again. 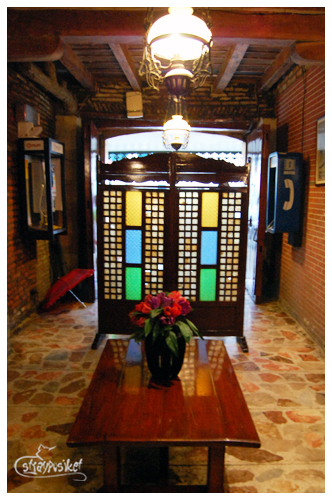 We checked in at La Elliana Hotel. 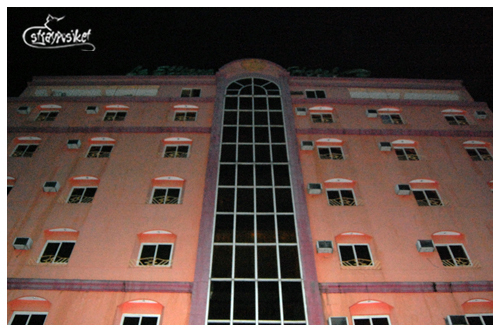 You won’t miss this building when passing along Rizal street because of its Salmon pink color. La Elliana at night. Looks haunted to me. Haha! This hotel is one of the cheapest accommodations I’ve stayed in. I’ve shared a room with my 2 friends and only paid 300+. 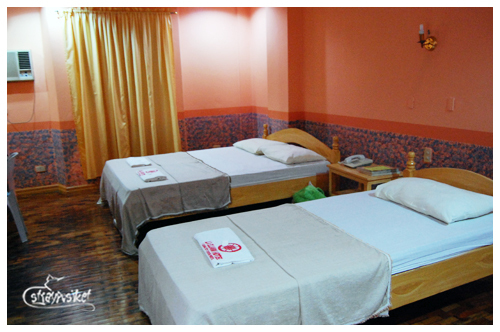 Our room is big enough that it can accommodate the whole group. After putting our things in our rooms, we went outside to have dinner. 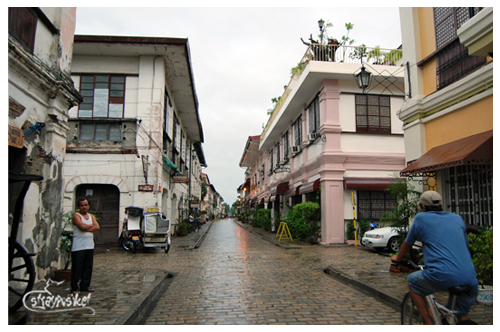 We walked along Rizal Street to look for a place to dine. 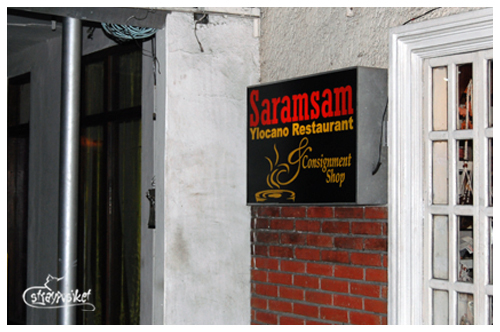 We happened to passed by Saramsam so we decided to give it a try. 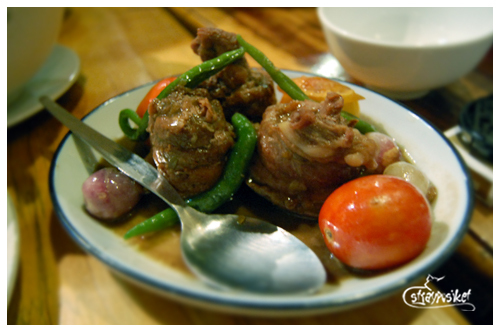 Saramsam is the home of the famous Poque-Poque and Dinuguan pizza. 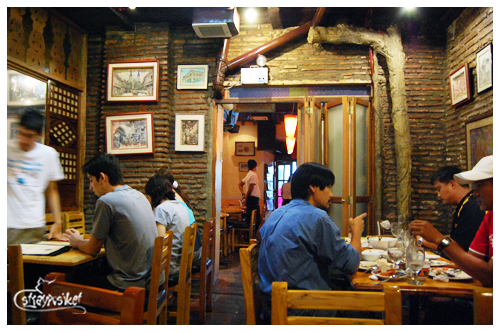 The restaurant also functions as a consignment shop which sells paintings and other souvenirs. 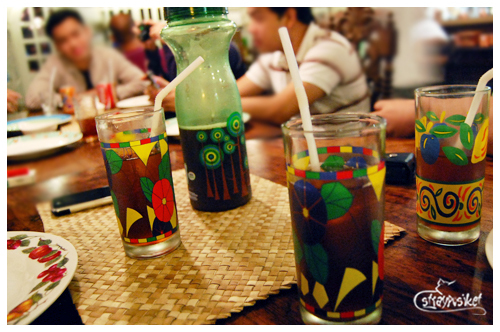 We tried their Baraniw (Wild Basil Iced tea) and it was served in a “Nestea I-bottomless mo” pitcher. For the main course, my friends and I had monggo and boneless smoked bangus. We did not order their pizzas because we wanted to eat rice that time but I’ll definitely try them when I get back to Laoag. After dinner, we went back to the hotel to get a good night's sleep. It was a tiring day.